It’s that time again to post a collection of “Halloween Treats”: classic ghost and horror stories to be read in the dark of night! I’ve been doing this since 2007, and you can read the old editions here: 2007, 2008, 2009, 2011, 2012 and my 2010 post on the true story of the “Lady of the Lake“. It is likely that not all of the links in those old posts work, but the lists are there. As a special treat: I tracked down, whenever possible, pdfs of the original publications! Many of them include excellent illustrations, a tradition that I would like to see return in horror. The Monkey’s Paw, W.W. Jacobs (1902). Somehow I’ve never included this classic tale of wishes gone awry in my posts! Though it is so well-known as to seem clichéd, it is a story of surprisingly subtlety. Note, in particular, the sergeant-major’s terse and unsettling description of the paw’s history. Lot No. 249, A. Conan Doyle (1892). Best known for his stories of Sherlock Holmes, Doyle also wrote a number of potent horror stories. In Lot No. 249, a tale of an Egyptian mummy takes on a particularly diabolical twist. If you want to see the pictures in a good quality, check out this link! The Haunted and the Haunters: Or the House and the Brain, by Edward Bulwer-Lytton (1859). Bulwer-Lytton is most remembered today for his ridiculously dramatic prose, such as “It was a dark and stormy night…” As I have noted on this blog before, however, he was a very effective author at times. 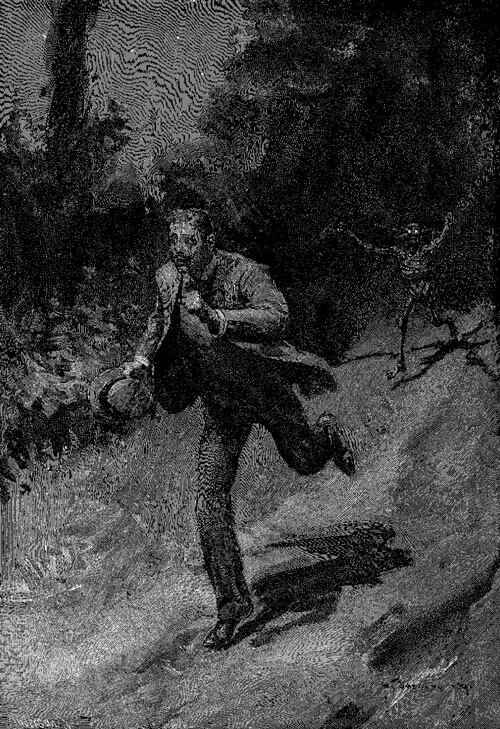 The Haunted and the Haunters is considered one of the best haunted house stories of all time, and it contains a rather bizarre epilogue. Shiva, Open Your Eye, by Laird Barron (2001). I’m a huge fan of Laird Barron’s work, and I consider him one of the best authors of horror working today. A few of his stories are freely available to read online, including Shiva, Open Your Eye. In this story, a government man comes poking around on a farm in Eastern Washington state. What he finds at the farm, and within the barn in particular, is more than he bargained for, or could even comprehend. The Undying Thing, by Barry Pain (1901). Sir Edric’s crimes bring a curse down on his family, and his second wife gives birth to a monstrous child. Decades later, the monstrous offspring returns from the wild to end the lineage. Huguenin’s Wife, by M.P. Shiel (1895). M.P. Shiel wrote a number of classic stories of the weird and horrific, including the apocalyptic novel The Purple Cloud. In Huguenin’s Wife, the narrator is desperately summoned by his friend Huguenin to his home on a secluded Greek isle. Huguenin’s wife has died, but she may not have been human to begin with. Luella Miller, by Mary E. Wilkins-Freeman (1902). Wilkins-Freeman is one of the greatest writers of ghost and horror stories of all time. In Luella Miller, she tells the story of a vampire of a subtle but still deadly nature. Enjoy the stories, and Happy Halloween! Agreed. Seductresses are a rather tired stereotype. Nice collection of classic horror stories free to read. Keep the lights on!